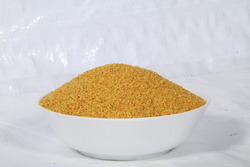 Our product range includes a wide range of yellow mustard seeds and black mustard seeds. Our company has relentlessly pursued excellence in its endeavor by providing premium quality Yellow Mustard Seeds. It's is used mainly in pickles and is the life and soul of mango pickle that would otherwise be incomplete without the Rai dal. We offer the entire range in different packaging options as per clients' diverse needs. Clients can avail the offered dal from us at reasonable prices. 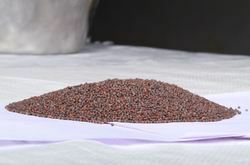 Backed by rich industry experience, we are engaged in offering superior grade Black Mustard Seeds. It is used as a spice and to flavor mustard condiment. The offered product is widely demanded by our clients for delicious taste and rich nutritional value. Moreover, we are offering the provided product in a variety of packaging options as per client’s needs. Looking for Mustard Seeds ?